After five years of drought, spring has hit parts of California like a welcome flowery wrecking ball, with brightly colored blooms springing up across swathes of southern California and the Central Valley. 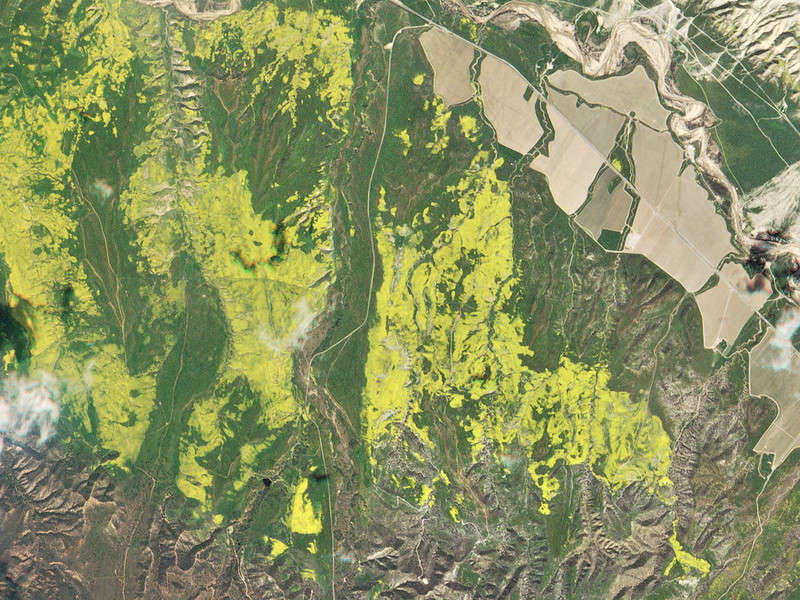 Private satellite startup Planet has captured the wondrous sight of the “super bloom” from low-Earth orbit, showing a stark comparison to the barren scenes in the area just a few months ago around December. Many people are saying this is the best super bloom in decades. From March onwards, starting in southern California and slowly but steadily creeping up the state, desert wildflowers have been blooming en masse after an El Niño-like winter brought the much-needed rain to the parched area. The desert flower seeds are tough, waxy, little things that are able to lie dormant for years if there’s not enough rainfall. When the rains do come, they quickly soak it up and, as you can see below, the results are pretty dazzling. Unfortunately, the super bloom is so stunning this year, it's brought traffic jams to the local area and hoards of Instagram-frenzied crowds who, in their determination to get the perfect picture, have managed to trample large areas of the parks. Classic humans. 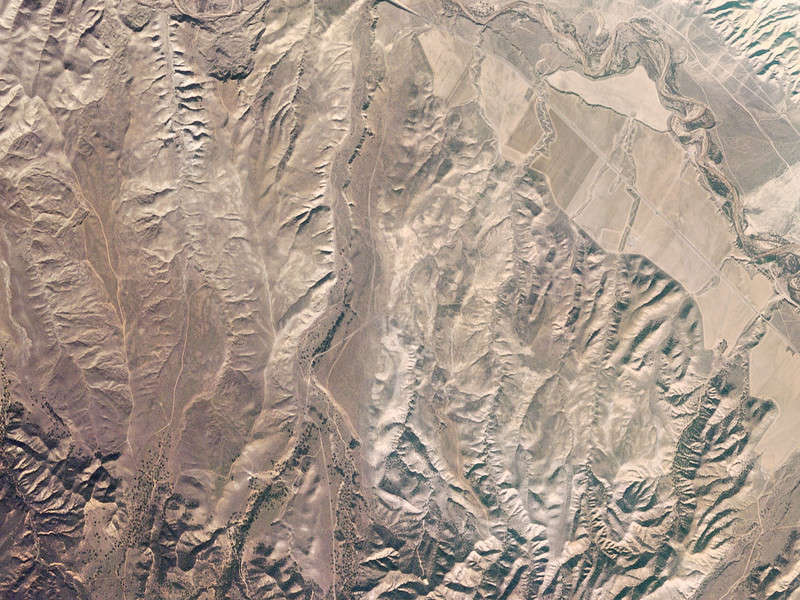 Thankfully, it all looks good from the Planet satellites. North of Los Padres National Forest on 3 December 2016 and 27 March 2017. Image courtesy of Planet. Bitter Creek National Wildlife Refuge on 3 December 2016 and 31 March 2017. Image courtesy of Planet.